Scope: This standard defines a system for the qualification of standard products for aviation, space, and defence applications. It defines the principles that shall be adhered to when carrying out product qualification; applied in conjunction with the rules and procedures of the CA. The system enables the CA to confirm compliance is achieved and maintained, in accordance with the requirements of its product definition and associated controlling technical specifications by an Original Component Manufacturer (OCM) of standard products. 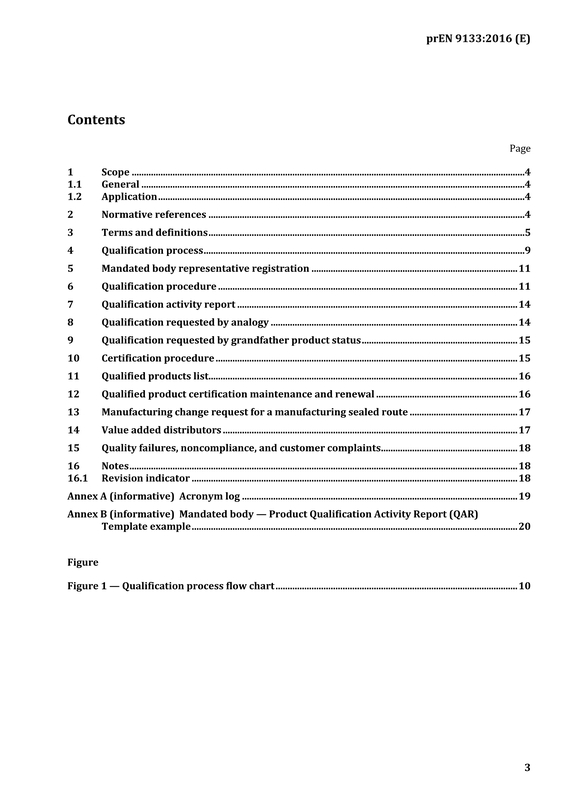 This standard requires an OCM that has been granted product qualification approval to ensure applicable approvals are maintained and renewed in accordance with the CA’s quality system for that qualified product. OCMs and OCM designated Value Added Distributors (VADs) requesting product qualification to this standard, shall as a prerequisite, maintain EN 9100 standard quality management system certification approval. This certification shall be visible in the Online Aerospace Supplier Information System (OASIS) database.